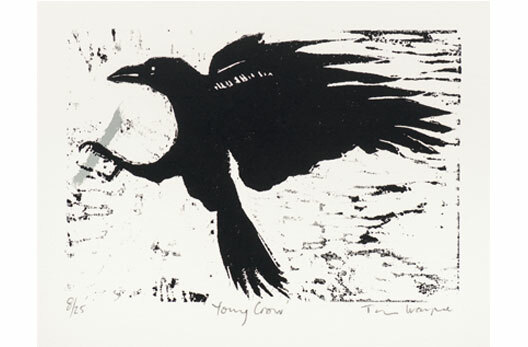 After careers in the caring professions, Tim finally had the opportunity to pursue his personal art quest in 2002. 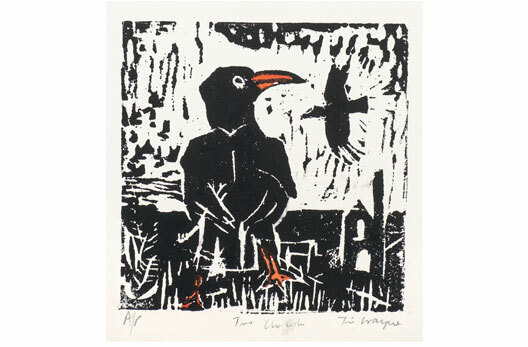 He studied Fine Art at Cornwall College at the same time as History of Art at Falmouth College. He achieved a Higher National Diploma in the former and Master of Arts in the latter by 2004 and progressed to a full time BA (Hons) Fine Art at, the now, University College Falmouth. 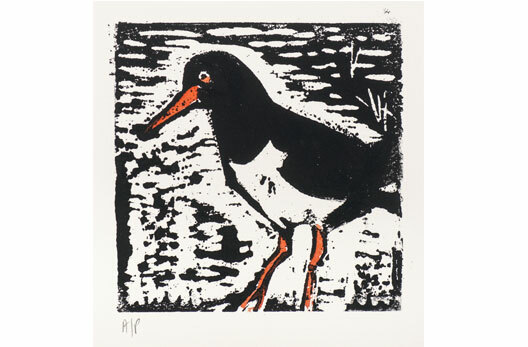 In 2002 he and Diana became involved in the organisation of the exhibition at St Gluvias, Penryn which has for many years been an important, integral part of the Cornwall Open Studios. From this experience they formed Red Cell, to showcase their work alongside those of handpicked, professional artists. Red Cell now regularly mounts exhibitions throughout West Cornwall including the Bay Restaurant at Hotel Penzance. 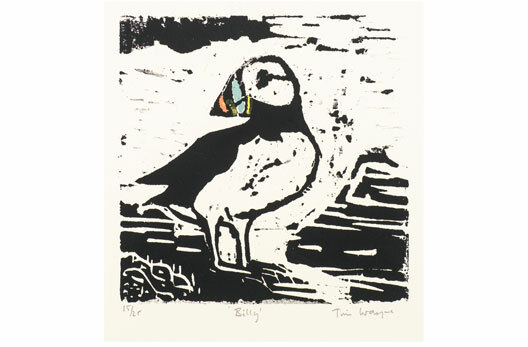 Tim is best known for his strong woodcut prints of birds with which he has been successful at getting regular showings at both Plymouth Society of Artists Open Exhibitions and the St Ives Society of Artists Open exhibition. However, his art work explores many fields, roaming through resin sculptures and ceramics to autobiographical paintings, ink cartoons and palm tree studies although he still does not know what he wants to do when he grows up. 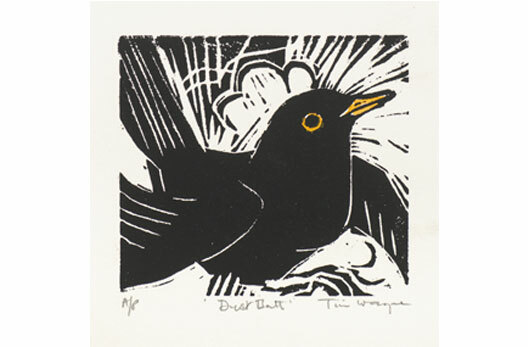 Tim’s prints consist of Bold images of birds and other natural fauna rendered in woodcut prints that are hand burnished with his mother’s old darning mushroom and then enhanced with highlights of watercolour..